My dear friend Jenny and I will be discussing different sections of this wonderful book throughout the entire year. We are starting off with the Introduction today. After reading it again and again the sentence that resonates with me the most is "There is a world of difference between domesticity and domestication." There is so much more to domestic life. Cooking, Cleaning, Laundry and general house keeping is not a "job" but a form of art. For those of us that relish in the making of a home we encompass and welcome the joys of cooking and cleaning and making our houses, homes. The place where love resides and the kettle is always on for a friend or loved one in need of a warm beverage and a bite to eat. You can feel the warmth of a "home"as soon as you cross it's threshold. The place where memories are made. I can close my eyes at anytime and transport myself back in time to either of my grand mothers homes. They were warm, inviting and so welcoming. Hand made rugs were scattered on chairs, cakes would be on cooling racks ready to lavish with icing, the washing would be neatly and evenly pegged on the washing line. The vegetable garden would be lush, green and bountiful. The berry bushes would be groaning with fruit every summer and would be lovingly encompassed under a perfectly placed net to ensure the birds didn't get full bellies on the sweet offerings. I could go on and on ........ My grandmothers were not just domesticated ..... They were true artists of domesticity and I am becoming more and more like them every day and I couldn't be prouder ! I have made it my life's mission to ensure that all of my children and their children have a safe haven within the walls of our home. Our door is always open and all of the fine arts of domesticity are practiced here. Cooking, Baking, Bottling, Preserving, Gardening, Knitting, Sewing and so much more. 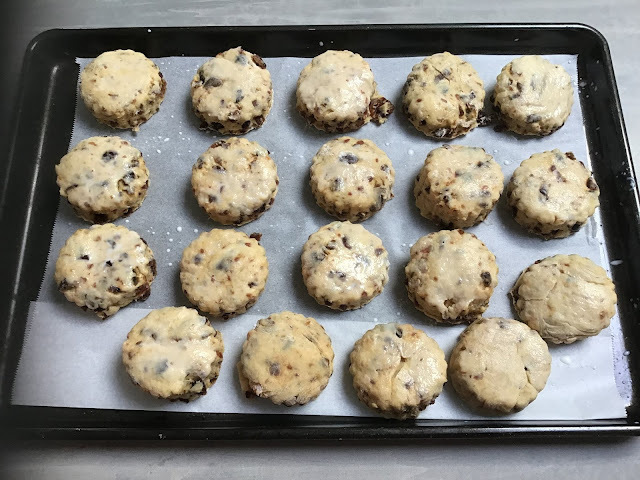 I can reel off a handful of home made goodies that each grand child adores and they can be ensured that at least one of their favourites will be on offer when they arrive for a visit. It is my greatest desire to be remembered as a loving caring woman who adored her family. It is my hope that I have passed down my love of my home and all it encompasses to my offspring and that they in turn learn the Gentle Art of Domesticity from me and pass it on to further generations so that it is never lost. In this material and disposable world it is so easy to buy whatever you want to eat, wear or place within the walls of your home but the art of creating them is true domestic genius. And the best part is it is so easy to live this life of gentle domesticity. It can be just the simplest of things that make YOU enjoy YOUR domestic life. There are no RULES, NO Can's and Can Nots. It is your domestic life and you can choose to do whatever you like to make it your own and enjoy it. Just baking some family favourites to share with your loved ones gives you that heart swelling feeling and just pure JOY. It does it for me every time ! 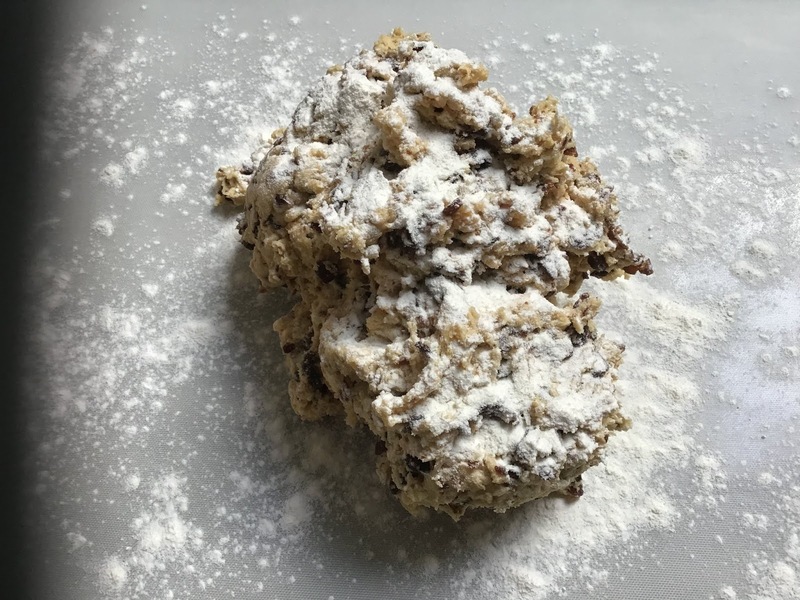 A lovely lady here on the blog asked me to share my date scone recipe the other day so I decided to bake a fresh batch for my hubby who declares that they are his favourite thing of all time ! Now just like domestic life there are no right and wrong ways to doing most things and a lot of you will be surprised to hear that my scones have an egg in them but believe me they are the best tasting date scones ever ! Give them a try and let me know what you think. Place the flour and butter in a bowl and rub the flour in with your fingers until the butter is crumbly. Add all of the remaining ingredients and mix with a wooden spoon to a dough consistency. Turn out onto a floured board and knead for 1 minute or so. Press out to around 2.5cm in depth and then cut rounds with a scone cutter. Place on a tray slightly apart and then brush with a little milk on top. They are just delicious. We eat some hot and I freeze the remainder in a container and pull out a few when unexpected visitors arrive and gently defrost in the oven or microwave. 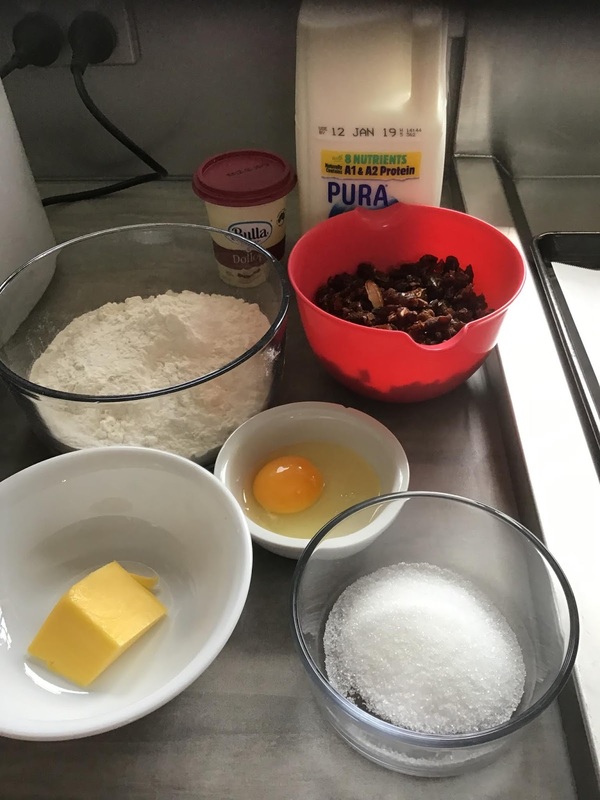 Years ago in 4-H I used to make a date-pineapple quick bread and really liked that--and I love scones--so got ready to print this off and then realized I do not know how to convert this to English measurements!!!!! 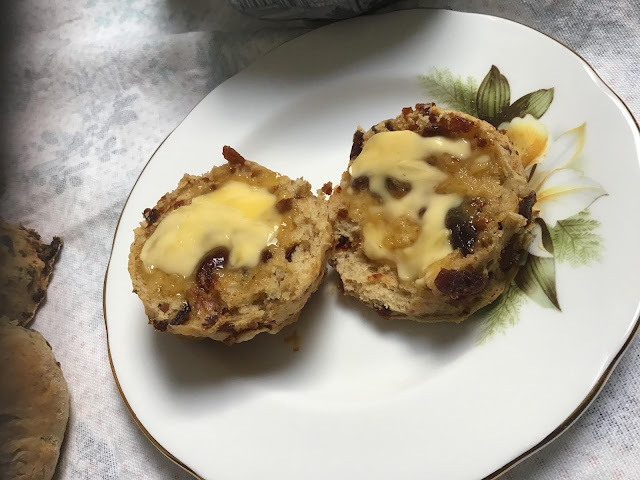 I use an egg in my scones too, and agree they taste amazing! Fee, I love how you model your own life on the way being with your grandmothers as a child made you feel...and considering the wonderful flow on this has had for your own children and grandchildren. Your words are filled with joy and contentment. Unfortunately, children don't always grow to follow their parents' ways but at least they have experienced the love and security as children. Your home sounds welcoming and filled with love. A wonderful post. Thank you for Sharing. My Moms recipe also has an egg in it, and it never fails. Lovely post today Fee. 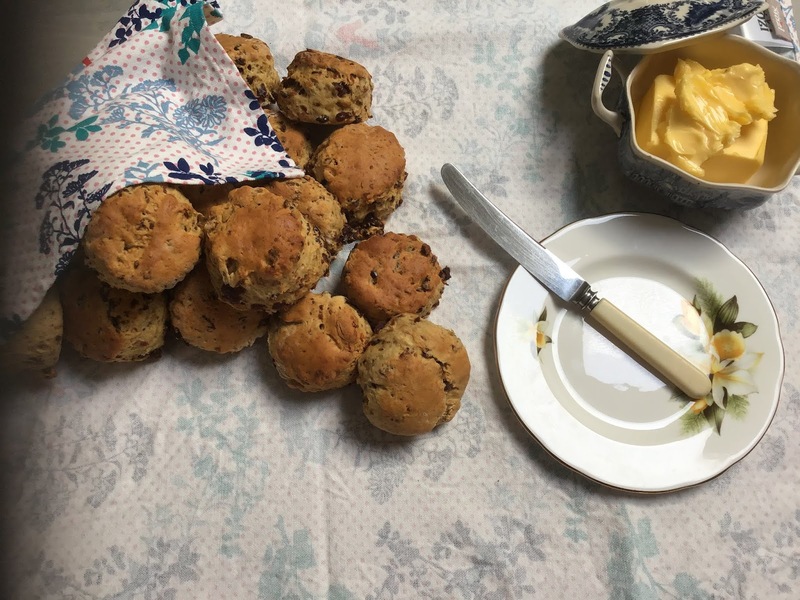 Thank you so much for sharing your scone recipe. I can not wait to try it out. I am really enjoying your posts Fee & am so pleased you are blogging again regularly as your blog is always such a favourite place to visit. 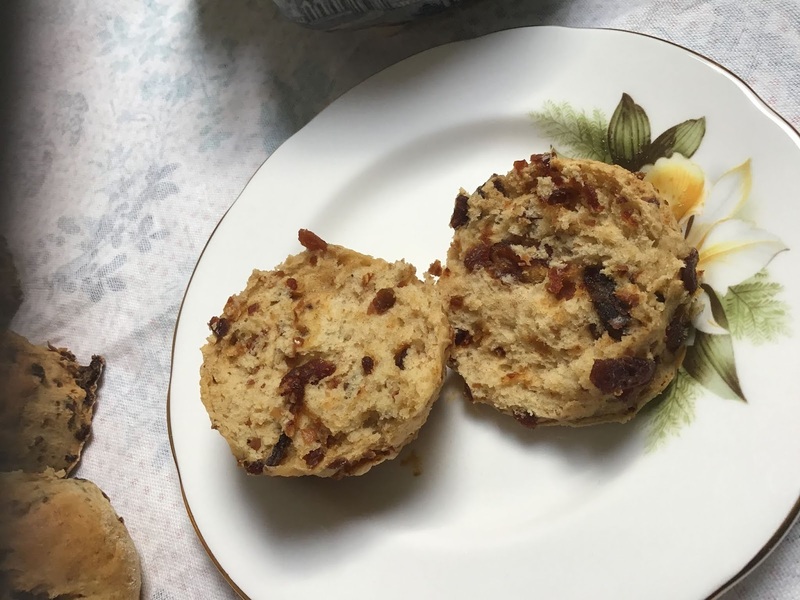 Fee, thank you for the recipe for scones. Dh is not a date fan (tho I am!) so I will try to use strawberries instead. Thank you also for your insights into the book. Thank you for the recipe. Love dates. Can't wait to try them. Thank you for this recipe! I too try to model myself after my grandmother and pray my family feels my home is a safe welcoming warm place to be. I should ask my children what memories mean home to them. I wonder if I succeeded or failed in creating a comfortable environment for them. I know many of the things you mention were not stellar parts of my mothering. Cookies, though, now that I was good at doing! So delighted that I found you! Thank you for sharing your thoughts on Gentle Domesticity, your patterns, your time, and your creativity. Looking forward to seeing what the year unfolds. All the best to you and your family and may God bless you and yours with all the best that life has to offer. Yum. Date scones. I haven't had one for ages. Will have to get some dates and make some.